Gemma Corbera lives near Barcelona, ​​Catalonia, Spain. 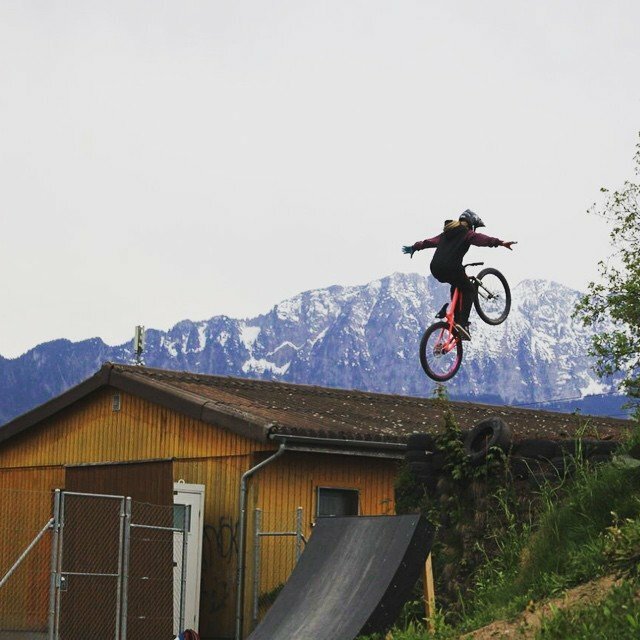 She practices Dirt Jump with her Mountain Bike and also does some Freeride. 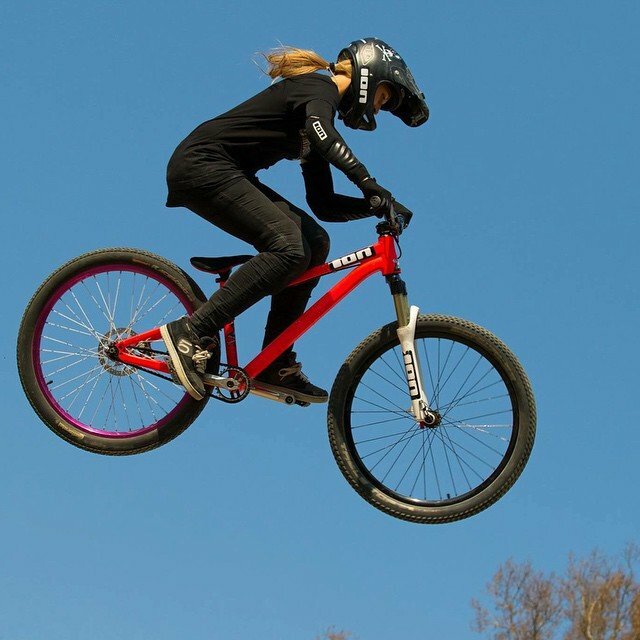 She started making Dirt Jump when she was 17. She practiced rollerskating and one day went for a walk with her rollers to La Poma Bikepark and she discovered the Dirt Jump. 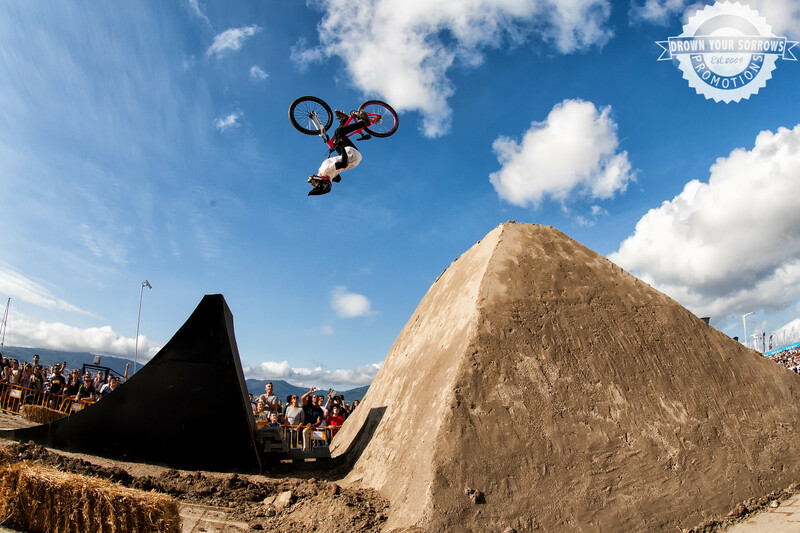 From that day she fell in love with Dirt Jump and bought a bicycle. Normally she mounted on the Bikepark La Poma. She threw her first backflip on a Funbox when only 17. Also she made some exhibitions and races downhill. A year later she had a car accident and was injured almost two years. After the injury (2014) she started to ride with great desire and threw her first backflip on a Dirt Jump! In 2014 she started competing in events with the guys. 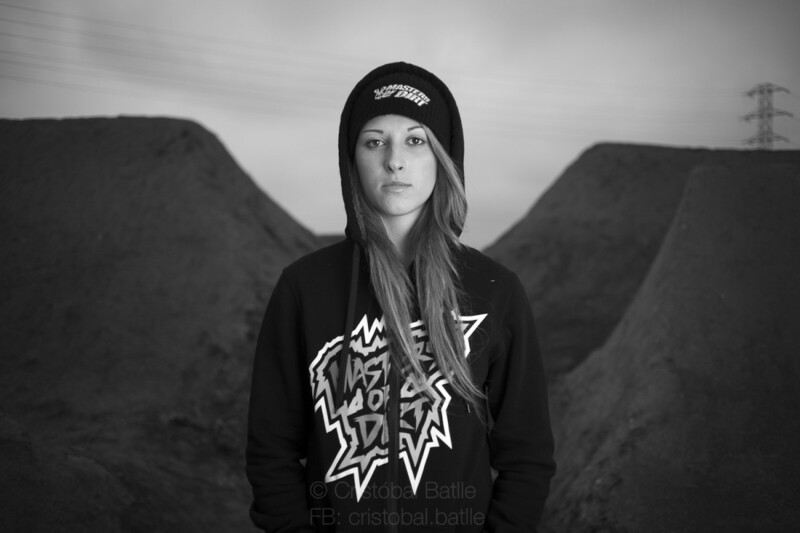 She was the first girl to compete in the FMB World Tour with the other guys. 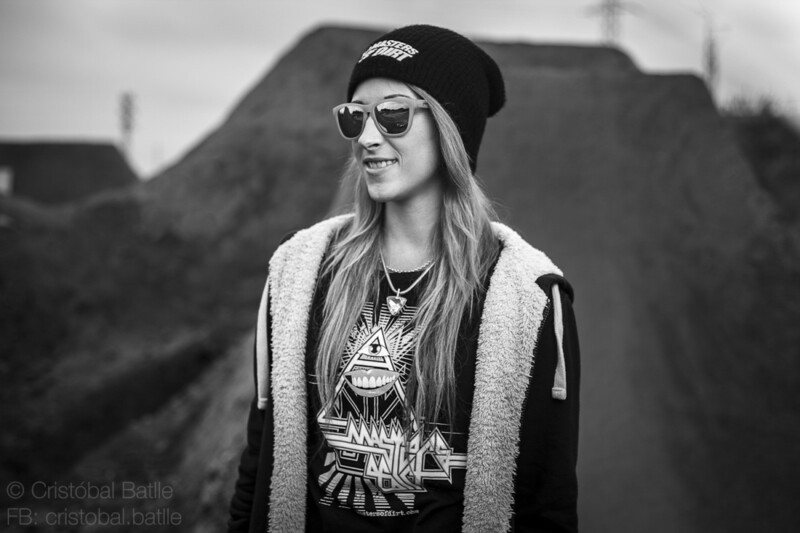 In 2014 she managed to enter the Team of Masters Of Dirt. 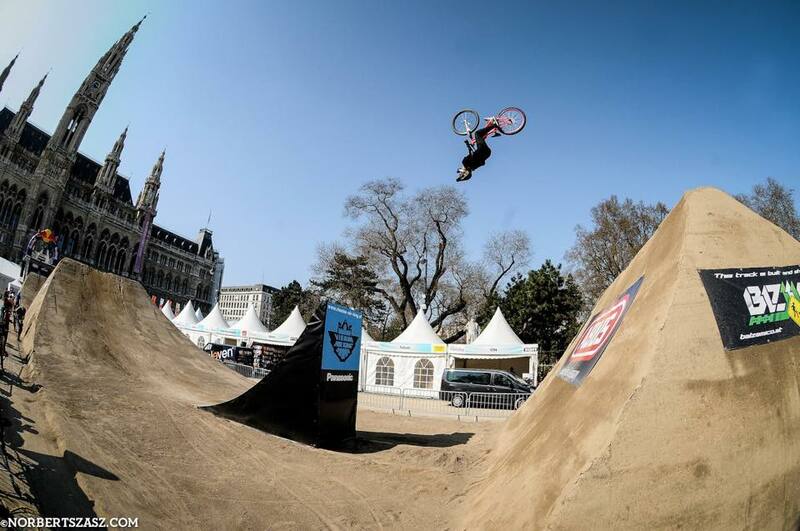 She has made her first show at the Masters Of Dirt Vienna 2015 and did a backflip in a 9 meters jump. Thanks to this she is eager to learn big jumps, new tricks and go to more events! 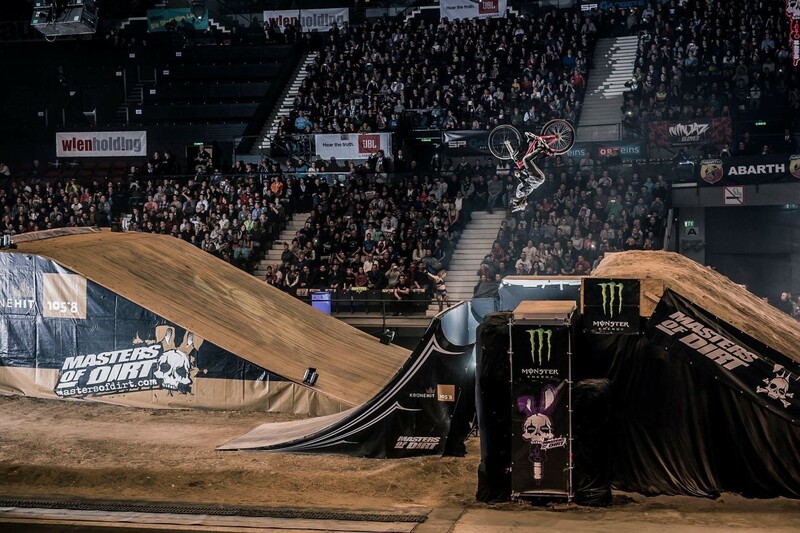 I want to get to ride on big jumps and do huge tricks like the guys. I also want to get more style and fun! 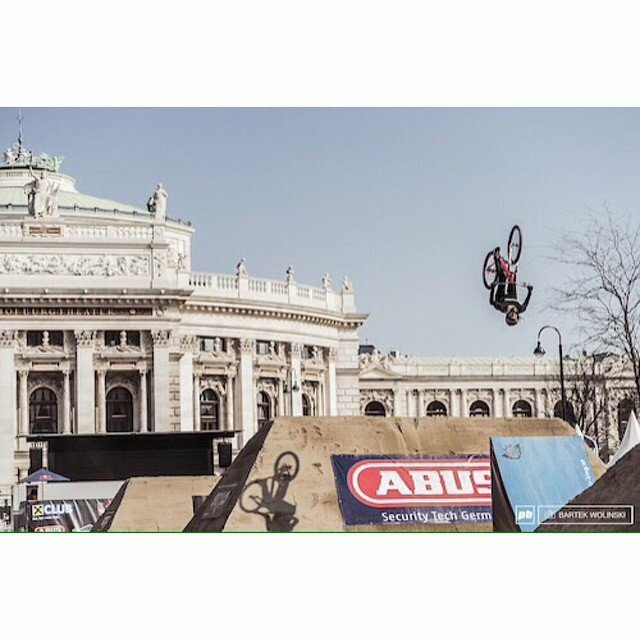 Make big crazy tricks or be in a good position in an event. The hardest things about riding are falls and injuries… I was discouraged and had very hard days for me. 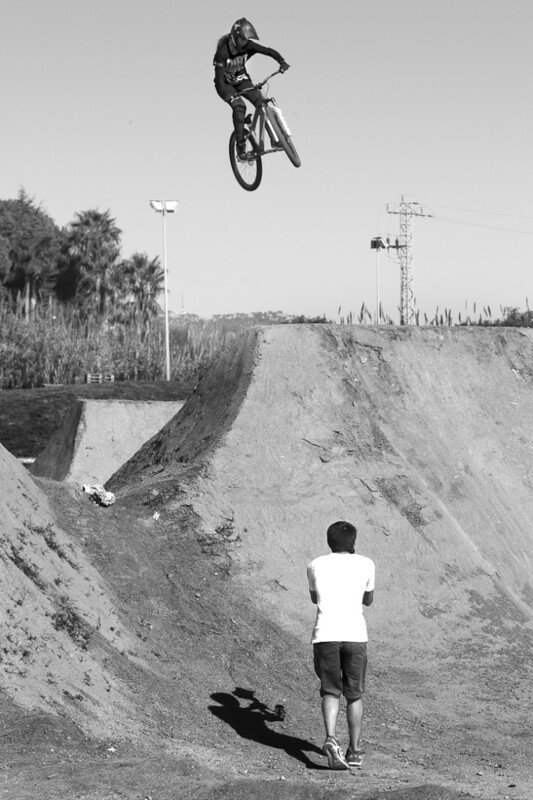 I am satisfied about the great feeling of flying, I love to ride. It also makes me grow a lot of my friends and the public that helps me and encourages me every day. I love feeling that people support me after making a big jump. 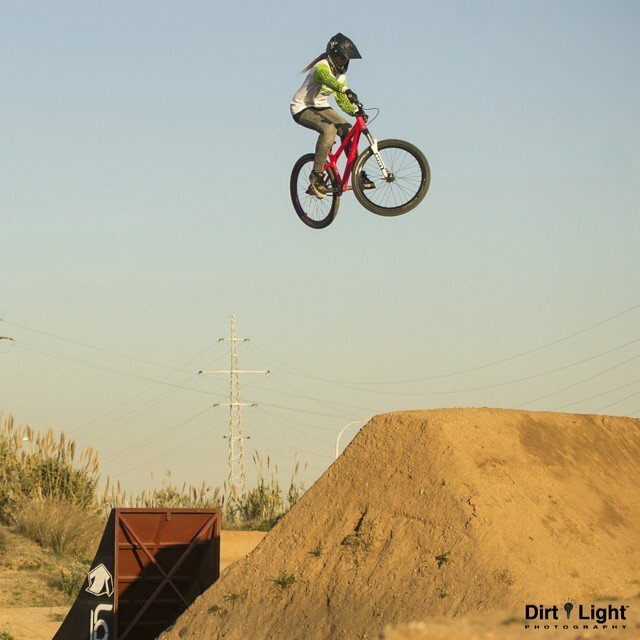 I take the car and I’ll ride in the La Poma Bikepark! I always enjoy it there. The most important thing is to enjoy and feel good! If I get to feel good, everything gradually goes well and I learn a lot faster. I also get nervous because I want to do well! I’m very hard on myself and usually always want to do more. Hahaha I don’t know… Yes, I think my biggest fans are my family, because they are the ones who really take care of me every day in good and bad times! This is the advice that most excites me: ” Come on, You can do it! “It is a very simple phrase but I am encouraged to learn to trust me. “If you think you can, you have to do it. Don’t listen to the people” This advice has always done very well. There are people who don’t know me and give me bad advices… When a great friend tells me it encourages me to jump well! First of all I want to learn to ride more! And then go to many trips and go to all the competitions that I can! Non stop! You have to ride a lot and have fun! My big advice is: If you risk and you fall, you will learn faster!